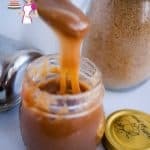 Making homemade butterscotch sauce is easiest and most convenient because it uses the ingredient you probably already have on hand and takes no more than five minutes. 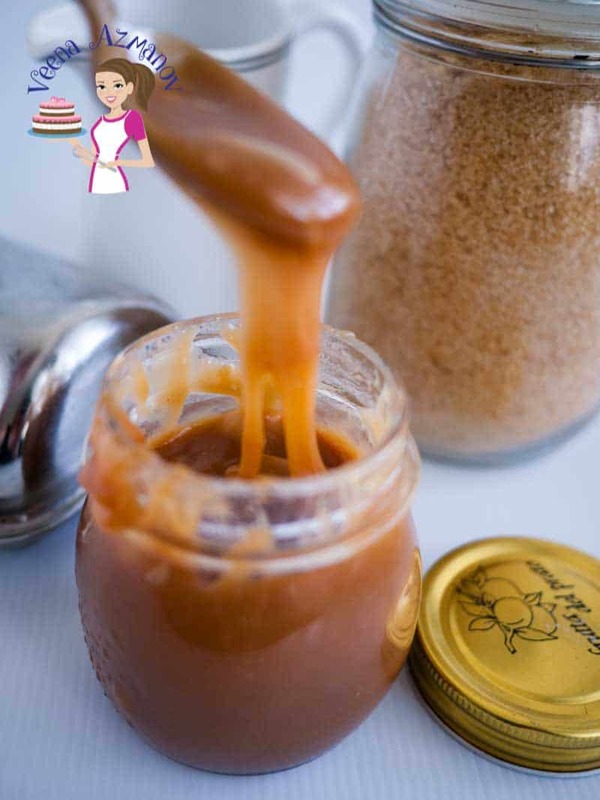 This simple, easy and effortless butterscotch sauce recipe will have you drizzling butterscotch on anything from breakfast pancakes to vanilla ice cream for desserts. Place the cream in a microwave-safe bowl - heat it up for 30 secs and set aside. Stir continuously until melted - Brown sugar is quite sandy when melted. Add the warm cream, slowly stirring continuously. The consistency at which you remove the butterscotch sauce from the heat depends on what you want to use it for. An important thing to remember is the sauce will thicken as it cools. Pouring sauce - If you want to drizzle the sauce over desserts such as pies and ice creams. It's best to take it off the heat about a minute after you add the cream. As an ingredient - If you need to use it as one of the ingredients - like buttercream or tart filling -it's best to have it a bit thicker. I cook it for about 2 to 3 minutes after adding the cream. Toffee consistency - If you cook the sauce for a good 5 to 6 minutes after adding the cream - the sauce will be thicker and more intense - pour it in a lined and greased baking tray - when almost cool - cut into square or roll into balls.